Whenever I need a basic eye pencil I always go to Sephora brand. They last forever, have a great pigment and they’re affordable. I have a basic black one that I bought years ago, it was a full size and just now it’s a small pencil. I got this mini one from Sephora for $8.00. I loved my Boscia cleanser but I wanted something new, I’m starting to really love First Aid Beauty and I asked someone what would be good for my skin. I grabbed it and love it. It isn’t harsh on my face, it’s moisturizing and it removes my makeup (the little that I wear) and a little goes a long way. I got this at Sephora for $26.00. 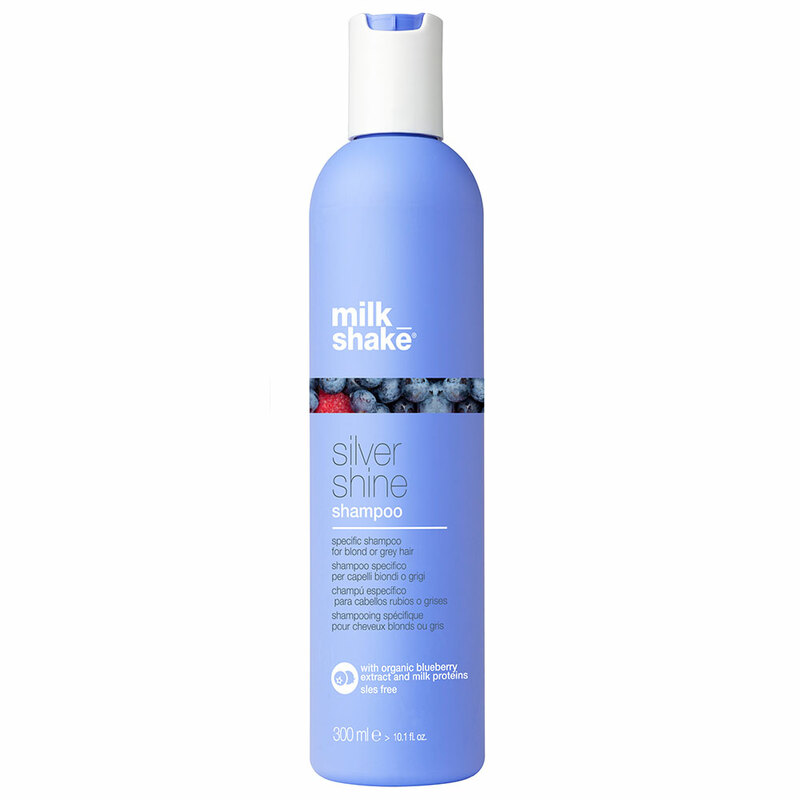 This product is best with fine to medium hair, with aloe and wheat amino acids it helps build body and adds shine. This product is made for the root, you spray when hair is wet and style as desired. Aveda products are natural and cruelty free! You can buy this at Aveda stores or Aveda Salons for $31.00. I’ve been looking for a jacket like this forever since my other one fell apart (it was leather) finally I saw one that I liked from Roots. I tried it on and loved it so I had to buy it. I got this at Roots for $138.00. When this first came out I wasn’t a believer what so ever but we recently did a mini mirror upgrade on our bathroom to get things off the counter, we ended up having some rust on the counter from metal getting wet. I let the CLR soak for 5 mins and rub off about 3 times and it was complete gone. I was so impressed because the rust stain would have drove me crazy. You get can get this at Walmart and other stores for $9.00. I love a good red lips and Aveda has a great red lip and it’s natural! You can get this at Aveda for $30. Ever need a good spot treatment? Boscia Charcoal Imperfection Corrector is the one to get. The charcoal helps dry out the unwanted impurities without irritating the skin. Be sure to not to shake it! The water and treatment need to be separate! I got this at Sephora for $37. I got this randomly when I was waiting to cash out at Sephora and thought it was a good thing to try. I curl my hair a lot and need a like hold hair spray that will give some texture to my short bob. I got this at Sephora for $32. One day I was at Sephora I was walking around and I randomly put this moisturizer on the back of my hand, I continued to walk around looking at other products then rubbed my hand. It was so unbelievably soft that I just had to have it. I did the exact same thing to my friend and she fell in love with it as well. This is $50 at Sephora. My boyfriend and I went to a Kitchen Stuff Plus Warehouse sale and found this coffee maker for $50. Now I don’t personally drink coffee but my boyfriend does and this was a good deal, it works wonders and you can’t go wrong for $50. As I wrote before I comb my lashes before curling them, I curl them with a simple eye lash curler from the Sephora Brand. There’s not much to say about a eye lash curler, it does it’s job and it’s not that bad of the price at $19.00. Recently I’ve been getting into more skin care and masks as my face is losing it’s mind as we get closer to the holidays. I found this one and gave it a try (so did my boyfriend), my skin felt so smooth and soft after. Putting it on is easy, it dries fast and doesn’t hurt to peel it off. I got this at Sephora for $45. Once again Aveda products are my favourite when it comes to hair care, and to have the best hair care you have to have a healthy scalp. Pramasana is a 3 step at home scalp treatment. Step 1. Exfoliating Scalp Brush, work around in circles on your scalp which helps remove build up. Step 2. Purifying Scalp Cleanser, you can use on dry or wet hair, use like you would shampoo all over the scalp, rinse, shampoo with regular shampoo, condition. This helps cleanse and exfoliates to help balance sebum. Step 3. Protective Scalp Concentrate helps balances sebum levels and helps protect the scalp. After coming out of the shower part clean hair and use dropper, cover head with small drops and massage in. This product helps HUGE when it comes to all scalp issues, unfortunately it doesn’t come cheap, Step 1 is $30, step 2 is $45 and step 3 is $57. If you can’t afford them all separability Aveda salons will have the treatment that they can do for you for roughly $30. Believe it or not in Canada when it gets super cold everything gets dry; hair, lips, eyes and our skin. I don’t know about other ladies but I myself loves a good hot shower but that doesn’t sit well with my skin. I constantly have to remind myself to not have a boiling hot shower even though it feels good at the moment, I know it will dry my skin out and cool shower water will help that. My boyfriend and I don’t have cable but we love watching the Leafs play but finding a link can be hard. Thankfully my amazing Mum has cable and anyone with Rogers apparently have Anyplace Tv. Using her login we can watch hockey in peace! In the morning everyone has their own little routine they’ve figured out to get them ready the fastest while using all the products they love. I of course have figured out my own hair care routine with my favourite products and I’m going to share with you. Now it depends on what I’m going to do with my hair, whether I’m washing my hair that day (yes, I don’t wash my hair everyday) or deciding on how I’m going to style it, I’ll use different products. Olaplex is life! I’ve written about this treatment in one of my monthly favourites so if you want a full explanation go to February Favourites. I’ve bleached out my hair so I need to take care of it, I do this treatment once a week before I wash my hair. It works best on dirty hair so I throw my head under the sink to dampen my hair, towel dry, brush out and let treatment sit on for a long as I can (minimum is 10 mins). I usually wash my hair at night before I go to sleep, this has just become a habit from when I was younger from playing baseball. I would have games late at night and would shower after them so I just continued; plus your girl is not a morning person so I’m not waking up extra early for that! I would first rinse out the Olaplex treatment then shampoo using Milk_shake purple shampoo. Now usually with purple shampoo you wouldn’t use this for every wash but because I want my hair to look purple I use it all the time. If I’m not going to use this, I just use Aussie Moist (which is meh but it’s cheap!). This is suppose to sit in you hair for 10 mins so this happens on a shaving day! I don’t put this on my roots because it makes your hair greasy but it works wonders and it smells great! After all the shaving and washing has been done I move onto products for styling. 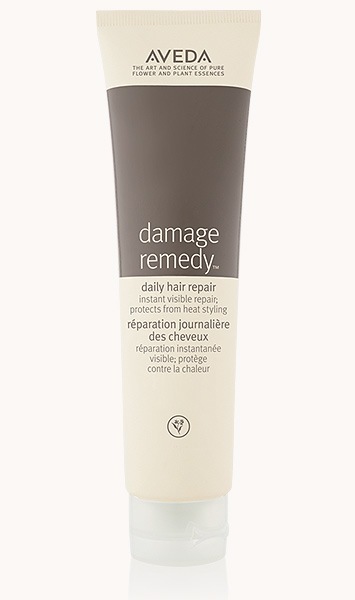 Now this depends on what I’m going to do with my hair but I always start with a heat protector which is Aveda Damage Remedy Daily Hair Repair! (picture 1) With Aveda a little goes a long way, I use roughly a nickle sizes and work it through my hair. This will help protect from the blow dryer, straightener, curling iron, and round brushing. 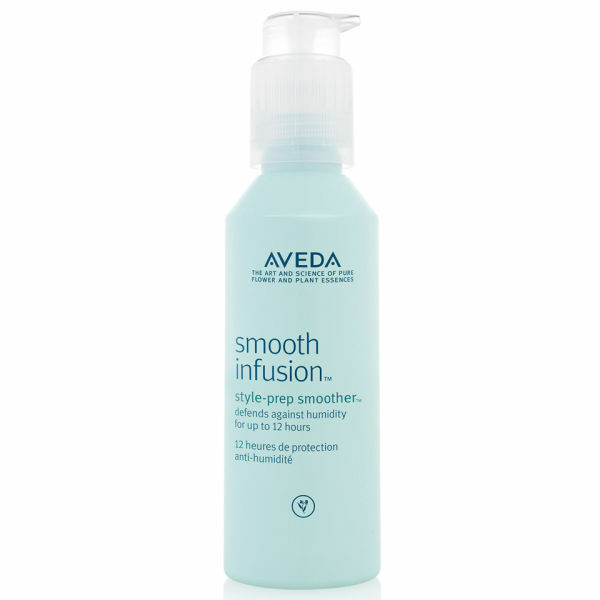 After that I will add some Aveda Smooth Infusion (picture 2), this is help smooth out my hair, and help fight against humidity. With this, once again a little goes a long way, so I use about a nickle size and work it through my hair. Usually at this point I will dry my hair or go to bed with wet hair and I’ll wake up with it dry. Either way the next step is to have dry hair so I can either flat iron it or curl it. 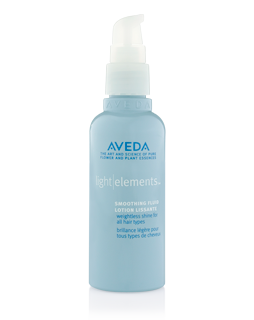 Once my hair is flat ironed I will use Aveda’s Light Elements Smoothing Fluid (picture 3) just to help keep everything in line with the fly aways. With this I use around a penny sizes and work it through the ends of my hair first and work my way up. This will prevent the roots looking greasy after you just washed it. 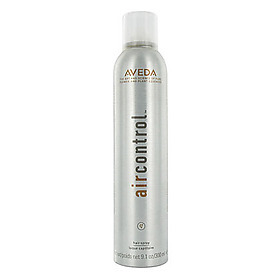 Lastly, I use my flat iron to curl my hair so after that is done I will run my fingers through my hair to break it up and spray my whole head with Aveda Air Control hairspray (picture 4). It smells great and it won’t give you that crunchy feeling. That’s it! I know this may seem like a lot of product to use on one persons head but you got to protect your hair especially if your styling it as much as I do. If you don’t use any products start with a good heat protector and work your way up!